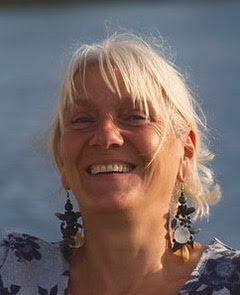 Caroline Hoek is a transpersonal psychotherapist, coach, and trainer. While living in the Netherlands, she considers herself a global citizen and works with clients all over the world. Caroline is the founder of Good Life Guidance. It is her deepest wish to accompany her clients on the path of personal and/or professional development. Rather than rigid protocols or models, it’s her intuition and her 30+ years of experience that are her greatest strengths. Creating a safe, respectful and playful atmosphere, Caroline makes room for what needs to be addressed head on. There are no rules, only guidance for real transformation. Anchored in (self) trust she lets her clients discover their unique gifts and use them for inner and outer leadership. Scroll down to watch an interview with Caroline. A feeling of overflowing Love took possession and I quickly pulled over. Tears were pouring as I could only sob and say ‘Thank you, thank you’. I was aware I sat in the car with Hans and simultaneously knew that all I saw in the world was from my own making. I knew that there was nothing out there, only me projecting.